Cutlip appeared as Enrico in Lucia di Lammermoor earlier this season, and Melrose is making his Seattle Opera debut in Flute. We speak to both about their role, and also find out what they've been up to lately. 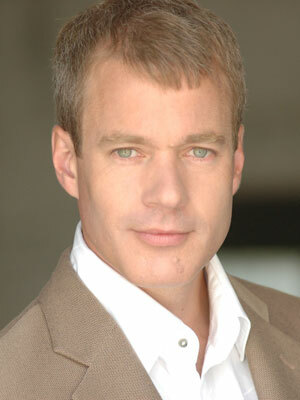 Speight Jenkins says Papageno is his favorite character in The Magic Flute. What does Papageno have that the other characters don’t? LEIGH: I’d say Speight is right on the money there! Papageno has that essential humanity and charm. However, it goes beyond telling some jokes and being involved in funny business. He has the chance to discuss his thoughts and feelings directly with the audience and then act on them. Because of this opportunity, he becomes a very rounded character, and this substance then helps convey his immense story arc: from child-like simplicity to mature man, prepared to pledge his love and die for his beliefs. Given that Papageno didn’t want to go on Tamino’s quest originally, and has zero interest in Sarastro’s brotherhood, what is he doing in this plot? PHILIP: Papageno sticks to the plan to journey into Sarastro's realm because he is enticed by the gift of the magical glockenspiel. Before the Three Ladies give it to him, he's ready to skip out on Tamino and go back to his easy, lonely life. I think Papageno also has the barest glimmer of bravery, or at least the desire to be brave, and by joining up with heroic Tamino, he hopes he might have his chance. LEIGH: Papageno is an Everyman who engages the audience’s sympathies and allows them a view into the topsy-turvy world of Die Zauberflöte. 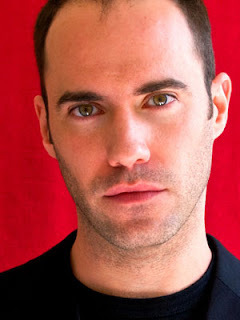 While he provides comic diversions when things get a touch too serious, he also embodies the crucial and fundamental progression in the opera from innocence to knowledge. We all aspire to be a Tamino, Pamina, or Sarastro, but inevitably we all have a lot of Papageno in us. As a result, he is the symbol of hope in the opera--hope that one day the gods will reward you for all your hard work and patience. And maybe include a good glass of wine in the deal too! John Tessier (the Saturday/Wednesday Tamino) and Philip Cutlip (the Saturday/Wednesday Papageno) rehearse for The Magic Flute. What’s your game plan if someone shouts out “I’ll take you!” when you’re threatening suicide if you can’t find a wife? Have you ever heard of that happening to a baritone? LEIGH: Have I heard of it happening? It happened to me! 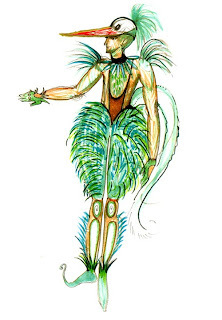 In fact, when I first performed the role, my teacher, who had himself been a very fine Papageno, threw down the gauntlet by noting that I probably wouldn’t get any reaction on my first production, while he had inspired such things on his very first show. Hhis challenge focused my mind and I can happily report that I had three hands up in the audience waving at me on my first night! And after hearing Simon Keenlyside gently let down a particularly ardent admirer in perfect German one night, I was inspired to hurry up learning the language for just such moments--even though I’m nowhere near his vocal excellence. As for what I’ll actually do...well, I guess it depends on who shouts what! PHILIP: I have heard of situations where Papageno actually gets some offers. But you'll have to come to the opera to see how I'll handle this one--I don't want to spoil the surprise! Philip, you were last here in a very different role, as Enrico in Lucia. Do you prefer doing a character where the audience will love you instead of hate you? It's interesting to compare a role like Enrico to Papageno. As far as singing goes, Enrico was incredibly rewarding to perform. He had demanding vocal lines, extensive arias, and a fantastic verismo duet. Having said that, it's very gratifying to get to be the good, friendly, lovable guy. Papageno places different demands on me as a singing actor, such as connecting directly with the audience. 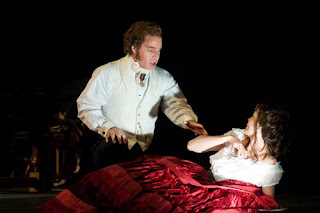 Philip Cutlip (Enrico) and Davinia Rodríguez (Lucia) in the fall production of Lucia di Lammermoor. As a native of the Pacific Northwest, what’s your favorite kind of local recreation? It's so hard to name what appeals to me most of the myriad outdoor activities. If I had to, I’d narrow it down to two: climbing/hiking/backpacking and skiing. Living on the East Coast, I have chances to ski, but Washington’s mountains give me much more than a hill to ski down. Leigh, you’ve had plenty of experience singing modern music and pieces in English, probably because of the lively opera scene in England these days. What’s been your experience in the U.S. so far, and how do the audiences compare? I do seem to do a lot of contemporary works in London and in Europe in the vernacular of the particular country, which is great. For me, there are few greater joys on stage than creating a new character and revealing him to an interested audience who can immediately understand what I’m singing. I haven’t had much experience with American audiences, but from my limited knowledge they are honest and direct so that if you entertain them, they are enthusiastic and very supportive. 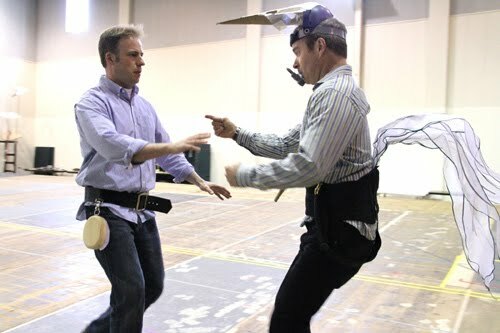 They are also unafraid to laugh, which is important for a Papageno! Is this your first visit to Seattle? What non-opera plans do you have for your time here? This is my first visit to Seattle, so I’m eating my way around the city with relish!